Typical Dutch Windmill in the back. 4k00:38Typical Dutch Windmill in the back. Man passes by. hd01:01The world Heritage Kinderdijk windmills landscape at dusk, the Netherlands. 4k00:10Spectacular view of row of old windmills and canal with reeds and ducks. Group of drainage system structures. Watertable control in agricultural land. Alblasserwaard polder, Knderdijk, Netherlands. 4k00:10Gorgeous view of old windmills, rippling water of canal and reeds against spectacular sunset sky on background. Popular Dutch touristic landmark, world heritage site. Knderdijk, Netherlands. hd00:13KINDERDIJK, NETHERLANDS - SEPTEMBER 17, 2017: Windmill at Kinderdijk with a blue sky. 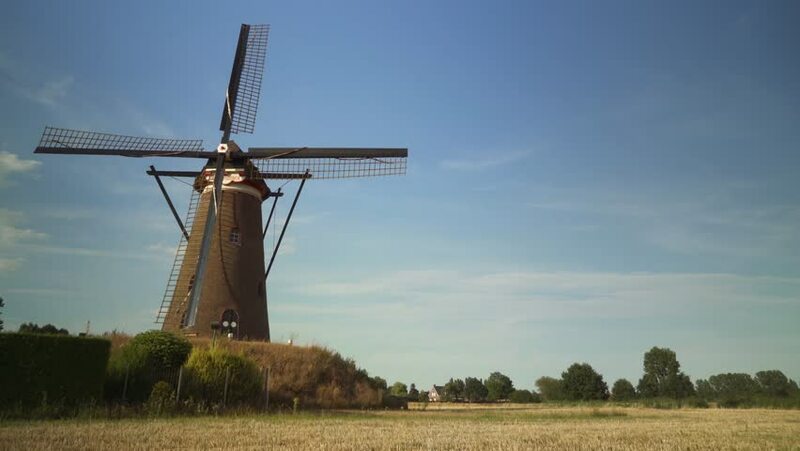 The windmills have been a UNESCO World Heritage Site since 1997.